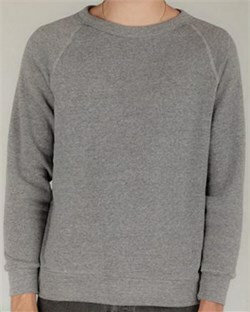 Alternative Eco Grey Sweatshirt is a Quality Style Champ Long Sleeve Eco-Fleece Men's Raglan Sweat Shirt.unisex regular fit l/s eco fleece crew with bound rib collar and bands at sleeves and bottom hem. wintertime just got a whole lot cozier!? 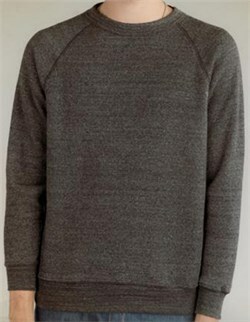 eco-fleece: 50% polyester (6.25% recycled), 46% cotton (6.25% organic), 4% naturally occurring rayon ? low-impact yarn dyed, enzyme fabric washed for a super soft hand ? resilient fabricAvailable in Small, Medium, Large, XL & 2XL!